I would like to invite you to our next PG Connections Event which is on Wednesday 10 June at 17:30 (registration opens at 17.00) in Room G16 in the Alexander Fleming Building (South Kensington Campus). 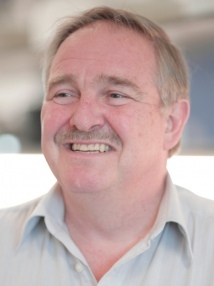 The highlight of the event will be a talk from Professor David Nutt, titled ‘Why Scientists Must Also be Revolutionaries’. As with all PG Connections events, the talk will be followed by a complimentary drinks reception. Most people think that the biggest problem to scientific and medical advances is the failure of funders, governments and the public to understand the value of what they do. I will demonstrate with examples from my own research career and those of others, that scientists themselves are often the enemy of progress and argue that we should always be challenging ourselves to think more creatively about the future goals of our disciplines. Professor Nutt is the Edmond J Safra Professor of Neuropsychopharmacology and Head of the Centre for Neuropsychopharmacology in the Division of Brain Sciences at Imperial. In addition to his many career achievements (including sitting on a number of high profile NHS and governmental committees), he has published over 400 original research papers, a similar number of reviews and book chapters, eight government reports on drugs and 27 books including Drugs Without the Hot Air, which won the Transmission Book Prize in 2014.